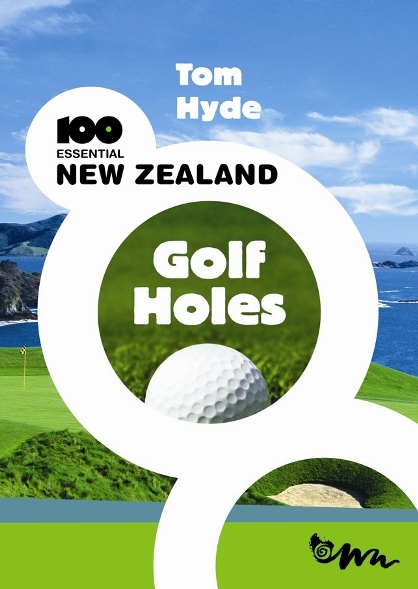 New Zealand is a golf-lover’s paradise and this is the definitive guide to the country’s most interesting, beautiful, challenging and exhilarating golf holes – the ones that will linger in your memory long after the games are over and the scores forgotten. Award-winning journalist and passionate golfer Tom Hyde travelled the country from one end to the other, playing courses from top resorts to modest country tracks, selecting the stand-out holes. Some of these have seen great moments in golf history, from Arnold Palmer to Tiger Woods to Craig Perks. Others come with such a stunning view it’s hard to concentrate on your play. Still others are memorable for their quiet and touching stories. And then there are the unbelievable shots that every golfer dreams of. Read the stories and marvel – and then try the holes yourself. Good luck! This striking book, with full colour photographs and contact details for every featured course, is the perfect golfer’s gift. It includes fabulous holes at Cape Kidnappers, declared by the UK Telegraph in 2008 to be No 1 of the ‘World’s Top Ten Golf Courses’. Golfers sent advance copies declared it the best golf book they’d ever read.